Published 5 days ago. About a 4 minute read. As the cannabis industry continues to proliferate, so, too, does it packaging waste. But more and more companies are taking a long view, incorporating sustainability into their products and processes. The cannabis industry has plenty to worry about — with ongoing regulatory challenges, and public bias and misconceptions at the top of the list — but more and more companies are taking a long view, incorporating sustainability into their products and processes. 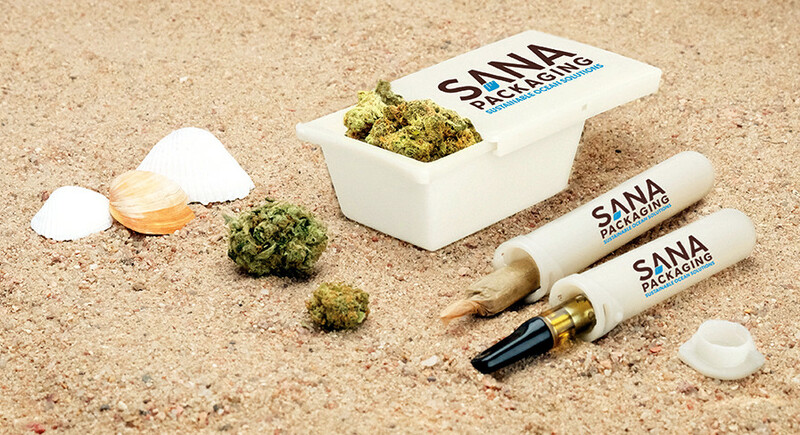 Denver, Colorado-based Sana Packaging designs and develops differentiated, sustainable and compliant packaging solutions for the cannabis industry using 100 percent plant-based hemp plastic and 100 percent reclaimed ocean plastic. Co-founders Ron Basak-Smith and James Eichner met during their MBA program at the University of Colorado Boulder. After a year of hallway run-ins and small talk about their mutual love of skiing, Basak-Smith asked Eichner if he wanted to work on Sana Packaging for a class project. After winning a university pitch competition, the two decided to pursue the company outside of the classroom. The team applied to Canopy Boulder — a seed-stage business accelerator and venture fund for the legal cannabis industry — and was part of the accelerator's 2017 Spring Cohort. Now, Sana produces versatile, child-resistant containers and tubes made from hemp-based plastic. With its rapid growth cycle, hardiness and versatility, hemp provides durable packaging solutions with minimal impact on the environment. Sana’s reclaimed ocean plastics line began with one of the most ubiquitous cannabis waste products: pre-roll tubes. With two-thirds of recreational cannabis states on the coast or bordering the Great Lakes, marine plastic pollution should be top of mind for the industry. For its ocean plastic packaging, Sana partnered with Oceanworks’ network of collection and processing agents around the world. Meanwhile, in nearby Boulder, Nicole and Sandra Elkind — sister co-founders of cannabis packaging manufacturer STO Responsible — centered their business around one main goal: fixing the cannabis industry’s single-use plastic problem by developing safe, affordable, reusable packaging solutions. After spending three years in R&D, the design team at STO Responsible devised a brand-friendly product line for cannabis packaging that can be easily reused and repurposed by consumers. If the packaging doesn’t reach the recycling stream, a special oxygen-driven additive in the packaging material facilitates a bio-degradation process, which allows it to degenerate swiftly and safely. “STO’s packaging harnesses the natural process of plastic degradation but accelerates it, so the material breaks down in five to 10 years rather than 500,” said Sandra Elkind, co-founder & Chief Creative Officer of STO Responsible. STO Responsible uses oxygen-driven, degradable polypropylene for its packaging, a material that is accepted at recycling facilities. However, if the package is instead discarded carelessly or sent to an oxygen-utilizing bioreactor landfill, an accelerated biodegradation process occurs. The principle is explained by the Oxo-Biodegradable Plastics Federation: When the material is in the presence of oxygen, the chemical bonds of the polymer chains are broken through oxidation. This helps promote degradation of the material through natural biological processes as the molecules are converted into carbonaceous food sources for microbes. STO Responsible containers are designed with reuse in mind, and the STO team encourages consumers to get creative. STO Responsible's eco-friendly packaging is designed to meet the cannabis industry’s strict compliance standards, as well as offering accessibility thanks to its wide-mouth design and easy stackable storage.